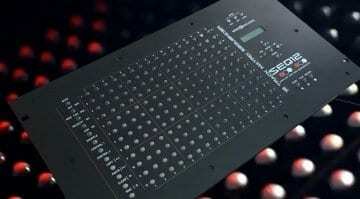 MIDI controllers continue to evolve and this time it’s Novations turn to come up with the innovations. The SL Mk III comes with CV/Gate support and an eight-track sequencer taking it from a MIDI controller keyboard into a hardware performance machine. 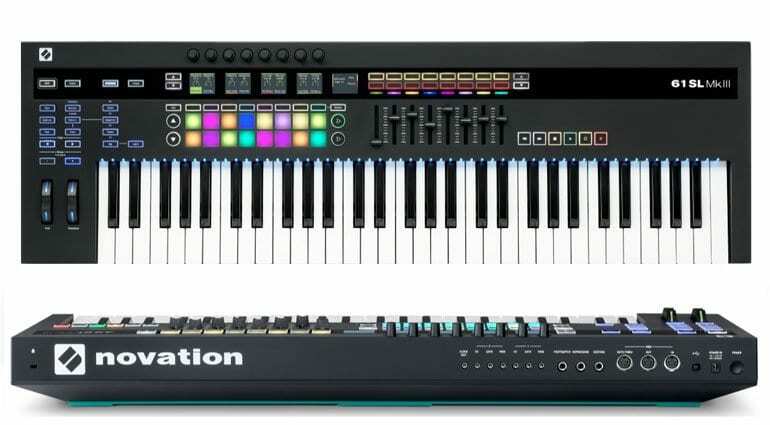 Everything has pads and faders and DAW control built in these and so Novation had to do something a bit special. So, they’ve stuck some CV/Gate outputs on the back and baked in an eight-track sequencer – yeah, that’ll do! It has a sense of the Native Instruments Komplete Kontrol Mk2 keyboards about it. It has similar little screens, although there are 5 of them and the little lights above the keys to guide you in scales, sequences, arpeggiation and keyboard zones. That’s no bad thing – these are good features, worth stealing. The layout is compact and it looks a bit better than the strangely white SL Mk II, although the colourful lighting can seem a bit overwhelming. The most promising aspect is the 8-track polyphonic sequencer. It’s based on the sequencer from the Novation Circuit and pushed in terms of polyphony and versatility. Each track has 8 note polyphony and 8 lanes of automation. You get 8 patterns per track with 16 notes per pattern and individual pattern length. 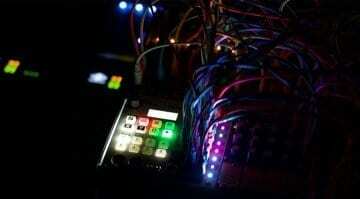 Each track can be routed out via USB, MIDI or CV/Gate. You can use the arpeggiator alongside the sequencer, within the 8 parts, or by itself. Along with using the sequencer to drive the CV outputs you can also assign them a controller message for modular automation and modulation. There’s even a powerful tuning option with offset and scaling for the CV outputs letting you perfectly tune your favourite oscillators directly from the SL itself. CV is always a really useful feature to find on a controller – even if you don’t have anything that responds to control voltage because you probably will at some point. DAW control is very popular these days and the SL MK III comes with scripts for Logic, Reason and Ableton Live. Everything else is covered by the HUI support. Ableton Live has a special relationship where you can use the grid pads to launch clips while the other controls handle the mixing. 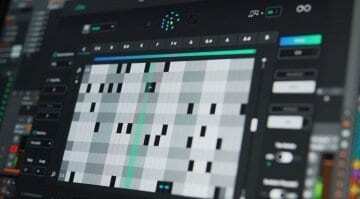 Otherwise the pads are good for drum programming, selecting and chaining patterns, editing sequencer steps or the rhythm of the arpeggiator. 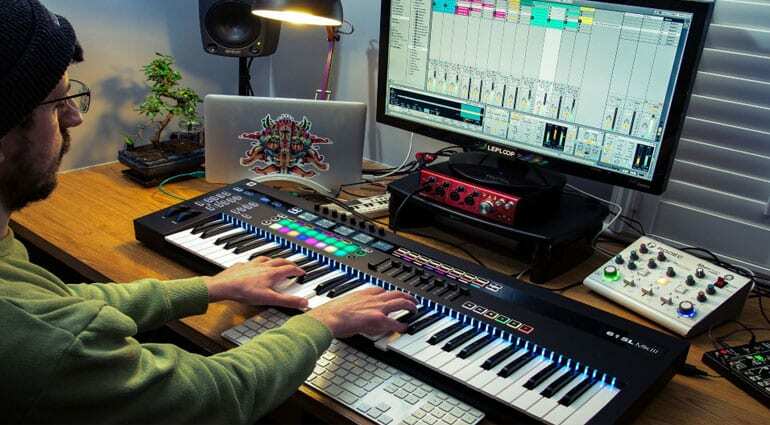 There are scale modes, swing modes and keyboard zones letting you layer up to 8 instruments across your keyboard. And everything can be saved in one of up to 64 Session slots. There’s also a software editor. So that’s one impressive bunch of features in a controller keyboard. Not certain on some of the specifics yet, like what gets displayed on the screens and how you route the sequencer, but I’m sure some videos will be along to tidy up those loose ends. There will be a 49 and 61 keyed version costing €599 and €699 respectively.